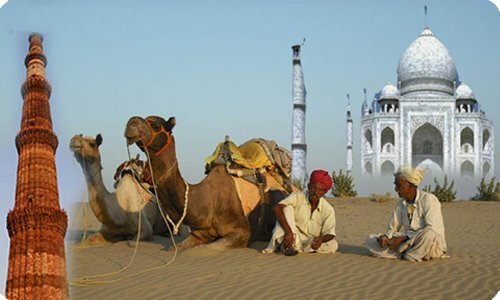 On your arrival in Jamnagar, begin your road journey to Dwarka. 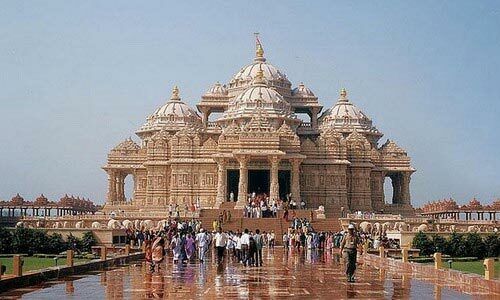 Named among the ancient seven holiest places in India, Dwarka is a highly revered Chardham destination. On arriving to the town, check-into the hotel and relax. In the afternoon, leave for sightseeing. After exploring the town, proceed to the famous Dwarkadhish Temple. This 5-storied temple is around 1400-years old and is dedicated to Lord Krishna. Have a temple darshan and attend the glorious aarti. Return to the pre-booked hotel for overnight stay. Begin the day early with a visit to Bhet Dwarka or Beyt Dwarka which dates back to the 19th century. Attend the holy abhishekam ceremony of Nageshwar Jyotirlinga. Later, pay a visit to Rukmani temple, after which you can proceed for breakfast. Later, begin your drive to Somnath. On your arrival, check-in at the pre-booked hotel. The evening is planned with a visit to the well-known Somnath Jyotirlinga temple, one of the revered 12 Jyotirlingas of Lord Shiva. Have your darshan and attend the evening aarti. 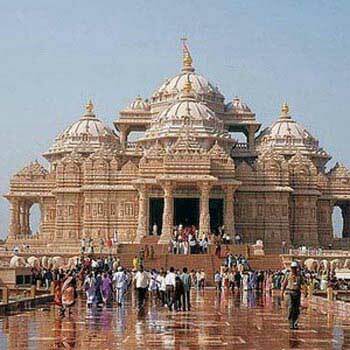 Blessed with a splendid architecture, spiritual bliss and intriguing history, the temple fascinates your soul. After you have dinner, return for overnight stay at hotel. Early morning after breakfast, checkout from hotel and proceed to Rajkot. Get assistance to the airport to board your flight to Mumbai. On arrival at Mumbai airport, start your journey by road to Trimbakeshwar Jyotirlinga in Nashik. 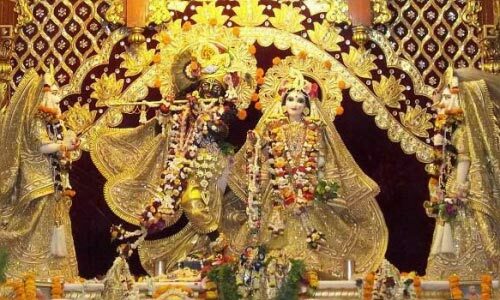 On your arrival and if time permits proceed for darshan and the evening aarti. Check-in at the pre-booked hotel for dinner and rest overnight. Wake up early in the morning to attend the holy abhishekam ceremony at the Trimbakeshwar Shiva Temple. After the puja rituals, proceed to savor breakfast. Later, continue your journey by road to another of the holy 12 Jyotirlingas, located in Aurangabad. On your arrival, check in at hotel. After a while of rest, pay a visit to the Grishneshwar Jyotirlinga Temple and attend the evening aarti. Return to hotel for overnight stay at Aurangabad. Get up early in the morning for puja at Grishneshwar Jyotirlinga Temple. After the holy rituals, have breakfast. Complete you checkout formalities and proceed to Bhimashankar by road. On your arrival and if time permits pay a visit to Bhimashankar Temple. Wake up early morning to attend the holy puja at Bhimashankar Jyotirlinga Temple. Return to hotel for breakfast, after which you can checkout from hotel. Start by road to Pune. On your arrival, drive to the airport. Board your flight to Indore. On reaching, continue with your road journey to Ujjain, to visit the next revered Jyotirlingas of Lord Shiva. 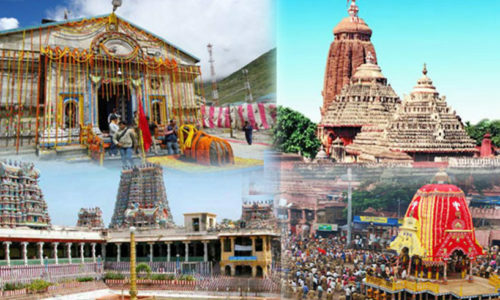 On your arrival in the city, get assistance with transfer to hotel after some relaxation you will visit to have darshan at the Mahakaleshwar Jyotirlinga. Start the day with breakfast at hotel. Complete the check-out formalities and start your road journey to Omkareshwar. Located around 4 hours away, the town is settled on the banks of River Narmada in the holy shape of ‘Om’. The evening is planned for darshan of the Omkareshwar Jyotirlinga. Also attend the auspicious Aarti. Return back to the pre-booked hotel for stay. Wake before the sun rises to attend the early morning abhishekam ceremony at Omkareshwar Jyotirlinga. Have a delicious breakfast and checkout from hotel. Later, begin your drive to Indore. Get transfer to the Indore airport to board flight to Hyderabad. On your arrival here, start your drive to Srisailam. After sumptuous lunch, proceed for a visit of the magnificent Mallikarjuna Jyotirlinga Temple and attend the evening aarti. Overnight stay at the pre-booked hotel in Srisailam. Attend the early morning abhishekam ceremony at Mallikarjuna Jyotirlinga Temple. After blessings of the lord, have breakfast. Later, start your drive back to Hyderabad. At the ‘City of Nizams’ visit the impressive Salarjung Museum, Charminar and the second biggest Mosque of India. Stay the night at hotel in Hyderabad. Start the day with healthy breakfast, after which check out of the hotel and proceed to Madurai. Board the flight to Madurai. On touchdown at Madurai, visit the renowned Meenakshi Amman Temple. Extremely blessed, the wonderful architectural gem lures tourists from all over the world. After the holy Darshan, get on the road to Rameshwaram. One of the holy Char Dham destinations, it is also known for one of the 12 divine Jyotirlingas of Lord Shiva. The drive to the island town takes almost 4 hours. On arrival, check-into a hotel for dinner and overnight stay. Start the day at around 4:00 AM. Proceed for the holy Mani Darshan. Next, take a holy bath in the sea known as Samudra Snan. Later, proceed for rituals of Kund snan. Also attend the abhishekam ceremony at the Rameshwaram Jyotirlinga Temple. After you have taken blessings of the lord, proceed for breakfast at the hotel. Complete your check-out formalities and begin your return journey to Madurai by road. Drive straight to Madurai airport at 2 PM, to board the flight for Delhi. On arrival at Delhi Airport, get transfer to hotel for overnight stay. Begin the day with delicious breakfast at the hotel. Complete the check-out formalities from hotel and proceed by road to Haridwar. On your arrival at Haridwar, city of bliss right on the banks of river Ganga at the foothills of Himalayas, check-into the hotel. After relaxing for a while, proceed to explore Haridwar. Named as one of the holiest cities in India, people from all over come here to take a dip into the holy river Ganga and get blessings of the divine. The occasion of Kumbh Mela, held every 12 years is the largest gathering of devotees in the world, enhancing the bliss of the town. As the sun sets, proceed to Har Ki Pauri, to attend the famous Ganga Aarti. Start the day with a hearty breakfast at hotel, complete the check- out formalities and begin your journey to Guptkashi by road. Lying on the western banks of River Mandakini, the holy town is dotted with a number of temples such as Vishwanath temple, Ardhnareshwar temple, Manikaran Kund, etc. Check-in at a hotel or a guesthouse on arrival. The rest of the day is at leisure. Dinner and Overnight stay in the hotel. 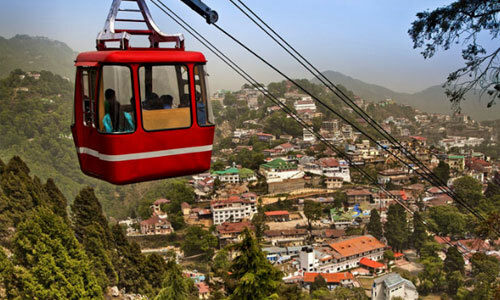 Start the day early with road transfer to Phata Helipad. Board the helicopter to Kedarnath, one of the Char Dham destinations as well as one of the 12 revered Jyotirlingas of Lord Shiva. Spend 1-2 hours in darshan at the Kedarnath temple. On your arrival at the Kedarnath Jyotirlinga Temple, you will be presented with priority tickets. According to legends, the Jyotirlinga is the hump form of Lord Shiva disguised as a bull. The holy temple of Kedarnath was built by the Pandava brothers of the great Hindu epic, Mahabharata and later revived by Adi Shankaracharya in the 8th century. After the holy Darshan, return back to Phata by Helicopter. Your vehicle awaits to take you back to the hotel for dinner and overnight stay. Start the day with early check- out of the hotel at around 08:00 am. Later, start the road journey to Badrinath via Joshimath. The drive is impressive, as you are surrounded by spectacular mountains. Badrinath is one of the holy Char Dham destinations, dedicated to Lord Vishnu in the form of Lord Badri. 15 m in height, erected in the form of cone with a small cupola of gilt bull as well as spire, Shri Badrinath Ji temple is a beauty. On arrival, check- in at the hotel. Get some rest for a while and enjoy some refreshments. In the evening, proceed to the Badrinath Temple for darshan. Before visiting the temple, pay a visit to the Tapt Kund, holy hot springs to take bath. After an early morning breakfast, start your drive back to Rishikesh. Settled at the foothills of Himalayas by the River Ganga, the serene spiritual city of Rishikesh is known as the 'Yoga capital of the world'. The peaceful city is also known for thrilling river rafting. Upon arrival, leave for the city tour. Pay a visit to Ram Jhula and Laxman Jhula. Later, afternoon journey to Haridwar. Get transferred to the Haridwar Railway Station to board the train for Varanasi for overnight journey by train. Arrive at Varanasi railway station in the afternoon. Get assisted transfer to hotel and complete check in formalities. Relax for a while, after which you can proceed to take part in the famous evening Ganga Aarti at Dashashwamedh Ghat. The spectacular Ganga Aarti starts just after sunset, as darkness begins to spread all over. As the aarti begins, saffron-clad priests take their positions at the platform and raise huge heavy brass lamps in reverence of the River Goddess. Chanting of hymns, music, aroma of flowers and incense make it a memory you cherish forever. The choreography of the entire event is excellent and worth watching. Wake up before sunrise and leave for an early morning boat ride on the river Ganges. Watch the world awake with the sun, as people make way to the ghats for daily rituals. Have a hearty breakfast, after which you can proceed for visit to the holy temples. 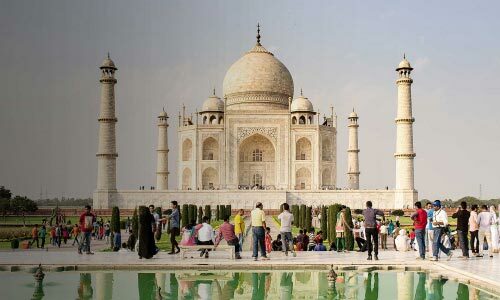 Start sightseeing with Durga Temple, Tulsi Manas, Birla Mandir, Visalakshi and Annapurneshwari etc. The highlight of the day is Shri Kashi Vishwanath Temple, one of the revered 12 Jyotirlingas in India. 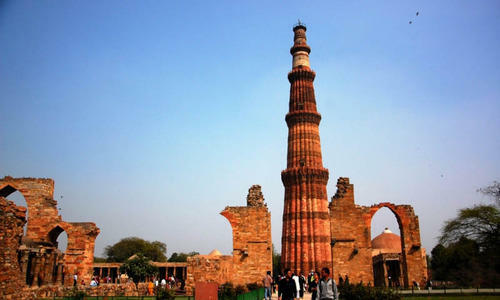 Later, leave for an excursion to Sarnath, 10 km from Varanasi. The holy town is said to be the place where the Lord Buddha preached his first sermon in the Deer Park. The impressive remains, as well as a modern temple fascinates you. The outstanding masterpieces of Dharmarajika, Chaukhandi and Dharnek stupas must not be missed. Later in the evening, get assisted transfer to Varanasi railway station to board the train for Deogarh. Upon arrival in Deogarh, check into the pre-booked hotel and relax for a while. Later, leave for a visit to Baba Baidyanath Jyotirlinga Temple to take part in the rituals of abhishekam and puja archana. Later, pay a visit to Basukinath Temple, one of the ancient temples in the area. Said to be the court of Baba Bhole Nath, at Basukinath Dham, the Shiv and Parvati temple are just in-front of each other. Pray at the many other small temples of different Gods and Goddesses also in the same compound. After darshan, return back to hotel and if time permits, attend the evening aarti. Today, attend the early morning aarti at the Baidyanath Jyotirlinga Temple. Return to your hotel for breakfast. At 11 AM, checkout from hotel and proceed to explore the markets. Later, avail the transfer to railway station to board train for Patna and overnight journey by train. Up arrival at the Patna Railway station, get transfer to Patna Airport for your onward journey to Delhi. Return home with blessings of the holy 12 Jyotirlingas of Lord Shiva.